This is a real world, highly advanced Wi-Fi hacking course, exactly what you are looking for. This course will teach you to hack Wi-Fi networks' securities, routers, break all types of encryptionand monitor the traffics. By the time you finish this course, you will have the full concept of Wi-Fi networks. You will learn to break any type of Wi-Fi encryption (WEP, WPA/WPA2), gain access to the network and take full control of it. You will understand yourself how to protect your own Local Area Network (LAN) and can take necessary steps if needs. This course is also beginner friendly. Even if you are just starting your journey to the hacking world, don’t worry. 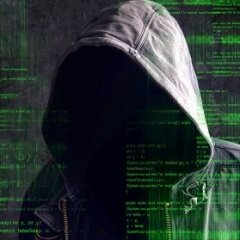 It will be the most amazing experience in the hacking world you'll have, and I am here to guide you based on my 7 years of real life experience in Cybersecurity. The sections are organized for better understanding this course. If have any question regarding anything of this course, I will be happy to assist you. So what are you waiting for? Come join me. See you in the course, and I am sure you are going to enjoy it. Anyone who is Interested in Hacking or Wi-Fi Hacking. Vanilla Rat is a remote administration tool coded in C# for Windows. It is stable, simplistic, and designed for ease of use. Vanilla Rat uses the Telepathy TCP networking library, Costura.Fody DLL embedding library, and dnlib module reading and writing library.